The Mark Kia Lease Return Center in Scottsdale Makes Lease-End Easy! – If your lease is almost up–especially if you have 6-8 months or less remaining in your term–it’s a good idea to start thinking about the lease-end choices available to you in Scottsdale, Phoenix, Mesa, Gilbert, and Tempe. 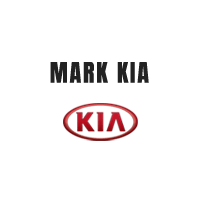 At Mark Kia, we’re committed to helping you investigate all of your options, and make the decision that’s right for you. Explore top Kia lease-return options here. #1: Lease Again–the Most Popular Option! It’s very common for Mark Kia lessees to choose to lease again after their term is up; it’s convenient, easy, and best of all, you get to drive off our lot in a brand new Kia. Our financing options make it so that you could roll remaining payments on your current vehicle into a new lease–or even waive payments in select situations! Just give us a call to schedule an appointment, and we’ll handle all of the messy paperwork. If you’ve fallen head over heels for the Optima, Sorento, Soul, Forte, or Sportage that you’ve been leasing, and you want to continue driving it, buying out your lease is very simple. This is particularly beneficial if you have kept it in exquisite condition, or driven well below your allotted mileage. We can help you explore financing offers like low rates, extended warranty plans, competitive loans, and more if you decide that purchasing your vehicle is the way to go. #3: Return Your Lease Even if You Didn’t Lease from Us–the Game-Changer! If you originally leased your car from a dealership that’s no longer in business, or is farther away than you’d like to travel, or just isn’t satisfying your needs, you can return your lease to Mark Kia. In fact, we may even be able to give you a better deal on your next lease or car loan. While you will still be responsible for any outstanding payments, excess wear and tear, excessive miles travelled, and any other end-of-term obligations that were specified in your vehicle’s lease agreement, this option can be a game-changer for drivers who feel that they’re stuck in an undesirable situation.